Few days ago got surprised! When I entered my work room, there was a flower bouquet on my table. Which made me more surprised was, the flower made by Play-Doh. Then my secretary said, “Ma’am, I made it for you. It might not been perfect. I am still learning” Looking at the “play-doh” flowers, reminds me when I was 10 my parents took me to Madame Tussauds museum and afterward I was very interested to create mini figures or characters like wax sculpture in Madame Tussauds. Strongly remembered I could spend many hours in my play room expressing my imagination and creativity to create figures or characters I liked. At the time, I really love made characters in fairy tale such as sleeping beauty, Cinderella, or other characters. With highly patient and carefulness I mold it carefully, paint it, and gave the details on its character in order looks realistic. If I made a mistake or the character was broken then I will re-mold from the beginning until I got the best and perfect result. Like I wholeheartedly created a character, it is the same with God. God totally poured out his heart to make the best and perfect for us. We are His masterpiece. We all are the mankind that created very good, pleasant, and suitable. We were created with special treatment. We were created so special according to His image and likeness. 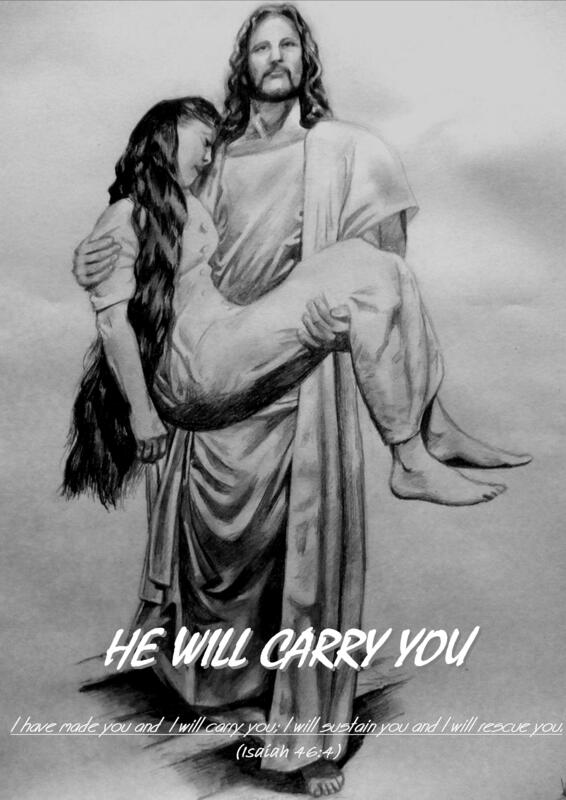 And when humans fell into sin, God considers it is important to do a step or mission to save us by sacrificing His only Son so that none of us shall not perish, but have eternal life. Not only that, God also had already planned the best for our lives. It means God wants to give the best for us, guaranteeing the lives of those who live according to His will and plan, both in the life on the world stage towards eternal salvation with Him one day in Heaven. See? How special we are. God doesn’t only give the best for today and tomorrow but God also provide the best for our future. 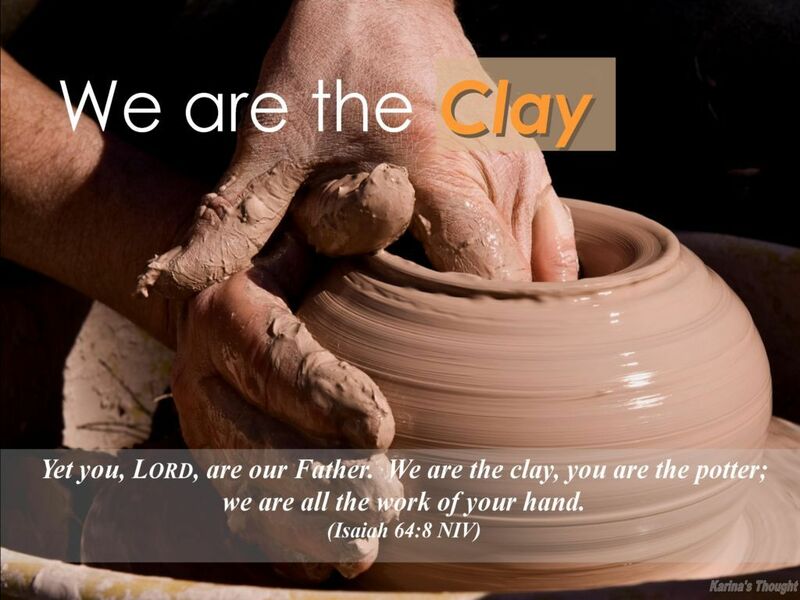 We are created by the clay and God himself as the potter. We are of His Hand’s works. Like I was creating a character, I have full of authority to mold a character as I want. It is also the same with God, as a potter He has full of authority to mold us as He wants. And as a lump of clay we could never set the potter to mold us as we like. God already has a “blueprint” for each of us. As a potter God really know very well our character as clay and He will not mold us into something bad and useless. We will be processed into something beautiful and perfect according His “blueprint” through His own way. A vessel, before it becomes a beautiful and useful vessel, must undergo a very lengthy process, and if the vessel was broken during the process, then the potter will remold another vessel from beginning and until become the best and beautiful vessel. This is the way how God molds us. My beloved readers, there are two important thing that I want to convey in this post. First, as it is written in Isaiah 64:8, we are as humans have to be aware that our position is only as a lump of clay. As humans we have no right to be bragging with all we have today. Whoever we are, no matter how big our power today in society, we are not more than a figure that bible says is formed only by the clay. In other verse of Isaiah reminds us that human being is nothing more than merely a breath. So we have to realize that as God’s creation we don’t have put expectation too high on our own power or other people’s power but it should be to God the Father who forms us. We must realize that God ruling above of all and we are just creatures molded by clay and were given the life through His own breath. We also have to remember that we should not steal the glory of God and let God alone as our potter that always glorified. Now let’s see the second thing. God commanded Jeremiah went to the potter with a purpose. God wanted to show that every human should to experience a process like clay and a vessel. A lump of clay will not automatically or instantly turn into a beautiful vessel. The point is, we have to really know and understand that every moment which happens in our life is a part of life process and like the process of molding clay into the vessel, we have to go through very long, hard and even painful process. There might be times when we absolutely cannot comprehend what exactly is going on in our lives. Maybe there is time we are in the lowest point of life. We may experience very deep disappointment, grief, hurt, has many unresolved hard problems, lost of jobs, business not running as expected, broken family, and many other life issues. But my dear friends, right now seriously I’m going to tell you that it all is part of process and don’t ever thinking that God is sleeping or being looked away from us. Truthfully, God is watching over us, He stands beside us; God is at work and pouring His great and perfect loving kindness to us. We are being molded by the potter become a wonderful, perfect, and useful vessel. “Today, if you hear his voice, do not harden your hearts as you did in the rebellion. Before molded, the clay shall be immersed in order to become mushy and malleable. This also applies to our heart. We have to soften our heart to be easy to molded, flexible, teachable, and willing to be changed. The hardness of our heart is a form of rejection and it will hinder the process of working and God’s plan for our lives. Let’s open our door of heart widely in order God will easily mold us. If God willing to molds us, then we have to willing to be molded. Then we should not grumble on all unpleasant things that happen in our life. A vessel must undergo combustion process in very high temperature pressure in order become a strong vessel. It is the same with our live. Every unpleasant and painful thing that happens in our life is a process to make us strong and stronger. Be grateful because God always willing to mold us become a wonderful vessel that radiates His glory. The last thing is, be patient. Impatience oftentimes becomes a serious problem and impediment during the molding process underway. Don’t fail in the process just because we are not being patient. 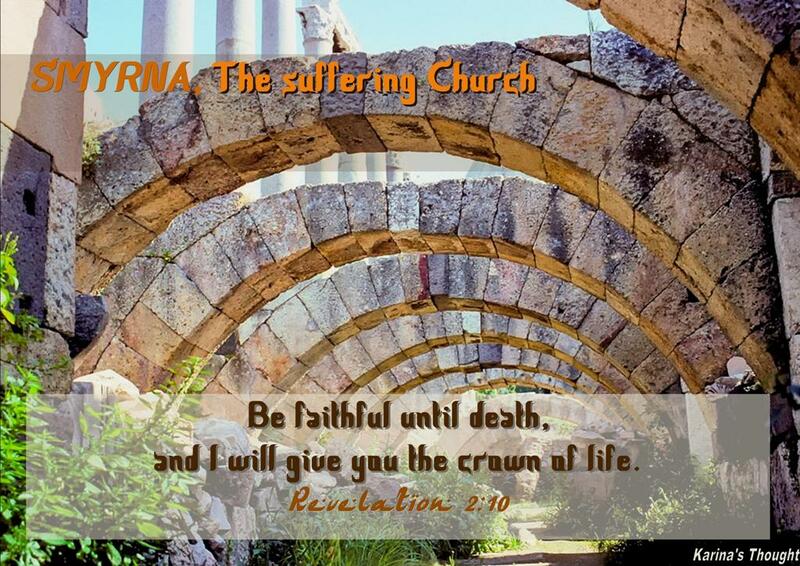 My dear brother and sister in Christ, through this post, I ask all of us to re-ponder on our existence before God. Always remember that we are nothing more than a lump of clay that is totally meaningless if no one takes, use and mold us into something beautiful and useful. We are only useless clay if there is no potter who willing to mold us become a useful vessel. Don’t boast ourselves with the power and capabilities that we have. It’s not merely because ourselves but just because God’s perfect love and power working in our lives. Surrender all of our life. Let God’s hand works on us; let God process us, cleanse us from the pebbles of ego, vanity, let all bad habits totally scrapped off from us and we become a clean lump of clay that ready to molded. And finally we will become the best, perfect, and beautiful “Vessel” We become His pride masterpiece and can use by Him to His work and for His glory alone. Amen. A simple, short yet powerful post. It makes me think who is really handicapped, us or them? A heart so pure and trusting Christopher and other children with special needs should be what we model ourselves after.﻿ Another wonderful proof God can use everything, everyone, No matter what and who they are. Good and worth to read and ponder.